Update: USPS slowing down – our thoughts on the postal service over the last few months #makerbusiness « Adafruit Industries – Makers, hackers, artists, designers and engineers! Here’s another one in our ongoing series to document the postal service quality decline over the last few years, we audit all deliveries, USPS is losing more packages and not scanning/updating properly. 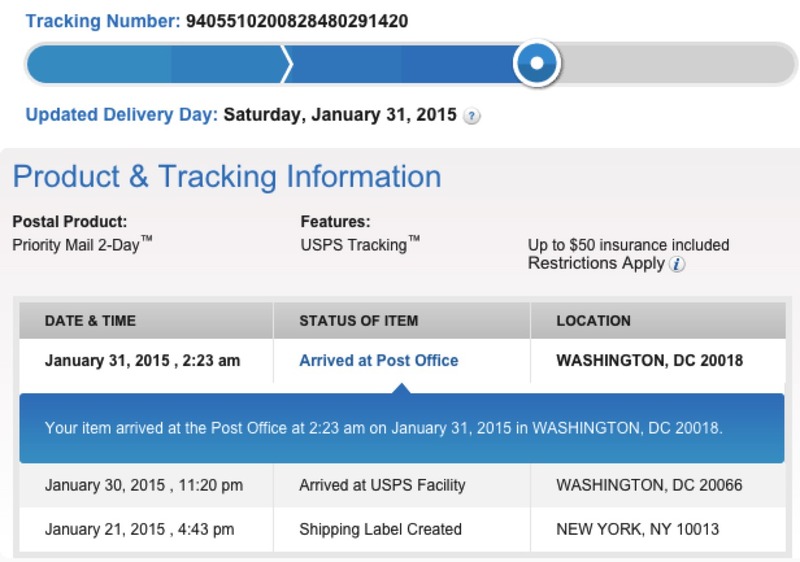 Here’s one from a customer of ours, Adafruit delivered the package to USPS Weds, 1/21/2015 (we have the logs of which ones are physically given to USPS) and then USPS sat on it for 10+ days, it was never updated as “scanned in” and then it popped up 10 days later in DC. This is an almost daily issue we see, USPS is not scanning or updating packages. This was a Priority 2-day customer, but it’s over 10 days now. Although it’s outside our control, we gave them a shipping refund. I’m not entirely convinced it left your facility. I placed an order on Thursday and it took till Wed of the NEXT WEEK for you guys to ship it. Sorry to be harsh but it seems if I order stuff on Thursdays I seem to get really slow shipping leaving the facility. Wed seem to be a bit better, and Mondays and Tuesdays are good it seems. I’m betting you guys “thought” this package described above left, but it was actually stuck in a bin somewhere in the warehouse along with my order…. we require USPS to sign a log, it was 100% given to them on 1/21/2015, they dropped the ball, again, and we have the data to prove it each time. how could it go from NYC to DC and never be scanned, that is impossible. I still have to say Adafruit has the BEST customer service in the industry, Just got a call and a lot was clarified. You guys continue to rock it. Just to be clear I was not complaining, just posting what I had noticed. For the cheap price of USPS I don’t mind the slower than normal issues now and then. Again thanks you guys. You’re awesome!! I’m just glad it’s not me — USPS has been dropping the ball like crazy lately. Their shipping does this for lots of vendors, not just Adafruit (Tindie, eBay, Amazon, Thinkgeek, DigiKey, EVERYONE is affected here). I still have a package sitting at JFK that’s been there since mid-December. Crazy! I’m glad you guys made a post about it, we’ve been having issues where I work too. Something’s got to give and frankly USPS needs to step up their game here.